Size 92 x 56 x 33mm. 12V/21W Amber bulb. 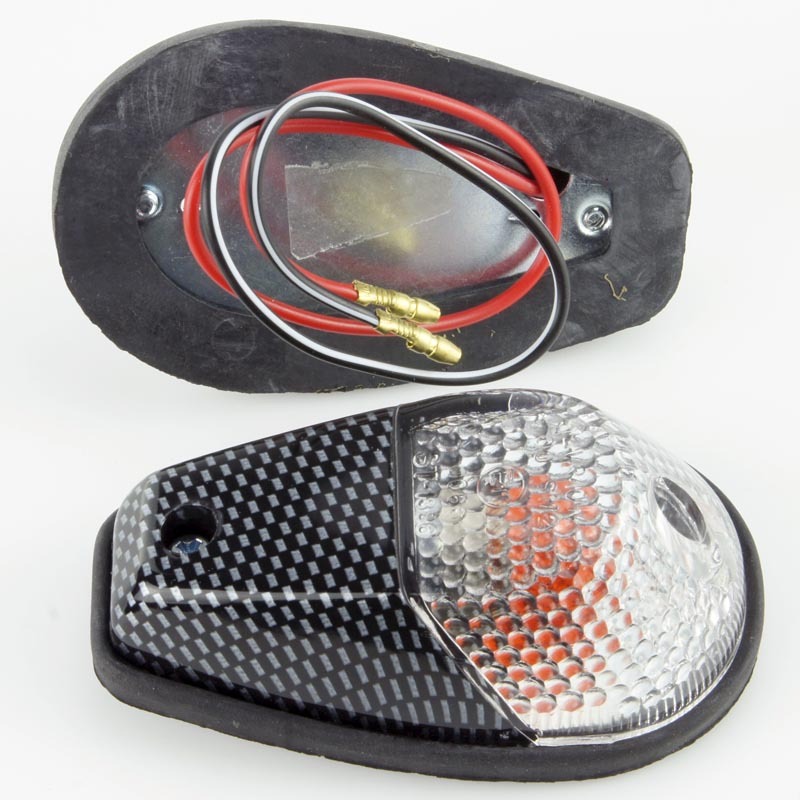 Carbon effect with clear lens and amber bulb could also be used as a side light with a change of bulb. Nuts, bolts washers, self-tappers and double sided adhesive pads. 25mm dia. Fits in a 20mm hole. Splash-proof with a rubber bellows seal. ¼" Spade terminals. 10mm front projection and max 22mm rear projection. max panel thicknes 3mm. 10 Amp.